A 2010 National Hospital Ambulatory Care Survey indicates that more than 4 million persons visited the emergency room due to a motor vehicle traffic related injury. Furthermore car accidents are actually the tenth leading cause of death throughout the United States. Car accidents are an unfortunate but common occurrence most everywhere, including Arizona. According to the Arizona Department of Transportation in 2011 more than 103,000 car collisions were reported throughout the state with nearly 32 percent resulting in injuries. Furthermore, the economic losses due to motor vehicle accident injuries in 2011 were more than $1 billion. The types of injuries sustained can vary on many factors including the types of vehicles involved, whether a driver or passenger was wearing a seatbelt, the type of crash that occurred, and much more. Ultimately though no matter if it was a minor or major crash, a person can sustain injuries both physical and mental. If you or a loved one has been injured a motor vehicle accident caused by another individuals negligence the victim may be entitled to compensation for property damage, medical bills, lost wages, and more. 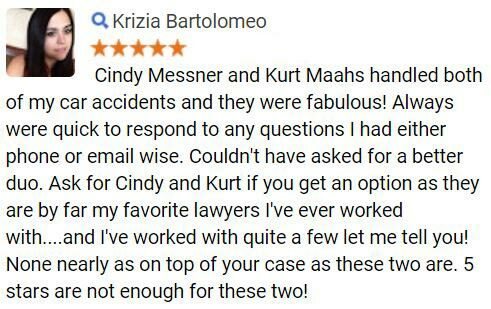 To schedule a no-cost, no-obligation consultation of your claim, fill out the FREE CASE REVIEW form to your right its free to submit and strictly confidential. In Arizona the most common type of collision that occurred in 2011 was a rear-end accident of which 43% resulted in injuries and an additional 45% were fatal. There are dozens of different types of injuries a person could sustain when involved in a car crash, however they can often be grouped into specific categories. The following are some common types of car accident injuries. Head Trauma Whether a person hits their head on a steering wheel column, side of the vehicle, or even the headrest, it could lead to head trauma. These types of injuries could include mild to severe concussions and traumatic brain injury. Orthopedic Injuries The human orthopedic system consists of muscles, ligaments, and bones so even a minor car accident could lead to orthopedic damages such as whiplash, spinal cord injuries, sprains and strains and more. Nerve Damage There are hundreds of nerve endings located throughout the body, serious trauma and lacerations could lead to temporary and even permanent nerve damage. This type of injury could result body weakness, loss of feeling, and muscle twitching. Loss of Limb In collisions such as a truck underride crash or motorcycle accident, an individual may lose a limb due to the imminent dangers of such a crash, however a victim may also lose a limb as a result of a needed amputation after a crash. Facial Injuries/Disfigurement Another serious type of injury, facial injuries may include cuts and lacerations, burns, dental damage, and more. Psychological Injuries After a traumatic collision, a person could experience post-traumatic stress disorder (PTSD), anxiety, and even depression as a result of their injuries and experience. Broken Bones Typically a person may think of a broken bone a fractured leg or arm, but car collision victims could also suffer from broken ribs, a fractured collarbone, and even a broken back. If left untreated some common car accident injuries could also lead to further damage. For example, a broken back could result in nerve damage if bone fragments reach the spine. It is important that all persons who believe they may have been injured in an accident seek treatment as some injuries are not as obvious as others. Any type of car collision can result in devastating losses, particularly those that resulted in car accident injuries and thus an overwhelming amount of medical bills. 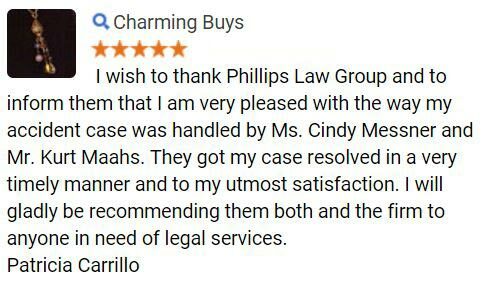 At Phillips Law Group we are dedicated to helping accident injury victims fight for their right to fair and just compensation including medical expenses, lost wages, and more. 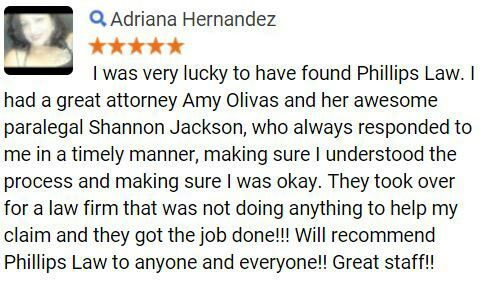 At Phillips Law Group, our injury attorneys understand that you may not be able to get around after an accident, which is why we offer home and hospital visits in order to help you get started on your claim right away. Our accident lawyers also believe that your well-being comes first and will help guide you through the entire litigation process while you recover. and many more local towns and cities. Dont hesitate to contact us by calling or texting 1-800-706-3000 to discuss the details of your accident claim at no-cost and no-obligation to you. Our intake staff members are available 24 hours a day, 7 days a week to take your call. You can also contact us online. 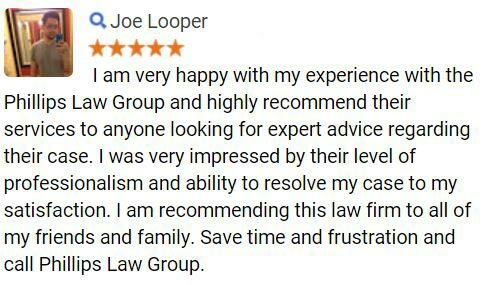 Fill out the FREE CASE REVIEW form located at the top of this page to get started on your case today.